I came across this at the intersection of Main Street and Bellevue Way in Bellevue, WA. 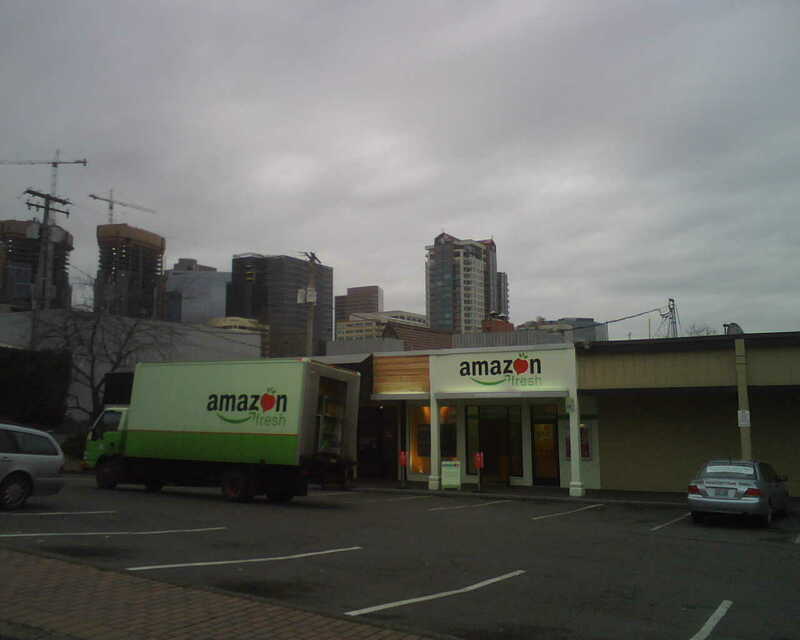 Seems like Amazon is making a big push with its AmazonFresh grocery delivery service. Interesting to see that they actually have a retail presence encouraging consumers to stop by and subscribe/use the service. I would have expected to see Amazon completely focused on driving adoption via the web and using an old school warehouse to fulfill. 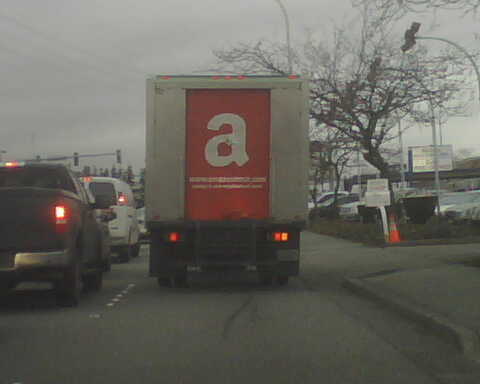 On my way into work today, I actually got stuck behind an AmazonFresh truck. Looks like they are making some headway with adoption… at least in Bellevue.